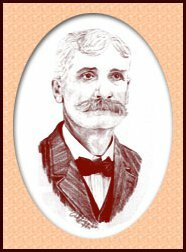 Charles L. Jones, the founder of what is now the Wilson Park Funeral Home, was born in Ball Township on November 21, 1859. He was the son of Drury and Susanna Meredith Jones. Drury Jones was one of the first settlers of Ball Township. Charles L. Jones married Clara Vigal and they moved to a farm in Cotton Hill Township west of New City and in early 1880 they moved to Rochester. Mr. Jones went to mortuary school in St. Louis but came home because of a family illness and never finished the school. He obtained his license under the "Grandfathers Act". Mr. Jones operated a livery stable on the Southeast corner of Mill Street and North Walnut Street and started the "undertaking" business in 1904 and his first funeral was on February 8th of 1904. In 1905 he built a new home and barn on West Main Street in Rochester. He acquired a two story frame building on the corner of East Main and North Walnut Streets where the Laundromat now stands. The first floor of the building was occupied by the funeral home, a hardware store and a tobacco store. The second story was used for storage of caskets, folding chairs, and other supplies. One of the things that were very different in the early years of the funeral home was, most caskets came from the Lincoln Casket Company, Lincoln, IL and from the F.H. Hill Co., Chicago, IL. They all came in heavy pine boxes and were shipped by rail to Rochester. There were four trains a day, each way, from Springfield. The caskets came without lining and that was done by Mr. Jones' three daughters. When people died at home, and most of the deaths were at home, the preparation for the burial was done in the home. The visitation was held the day and evening before the funeral and some of the neighbors would "sit up" all night, go home in the morning and come back for the funeral in the afternoon. The hearse was drawn by a team of black horses that Mr. Jones stabled in his new barn on West Main Street. Graves were dug by hand in the small cemeteries and in Rochester Cemetery by the sexton, the charge being $10.00. Graves were lined with white cloth and decorated with fresh flowers when available. Mr. Jones' bookkeeping consisted of a small note book he carried in his back pocket and he never sent a bill or statement. That was very different!! Mr. Jones built an all-brick storefront type funeral home on Main Street across the street from the Methodist Church in 1925 and it was torn down in 1944 to make way for the new Route 29 Highway. Wilson J. 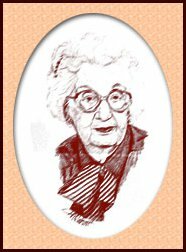 Park attended Springfield Junior College and the Hohenschu-Carpenter College of Mortuary Science in St. Louis, MO. He served his apprenticeship in Springfield, IL and joined his Grandfather in the business in 1939. 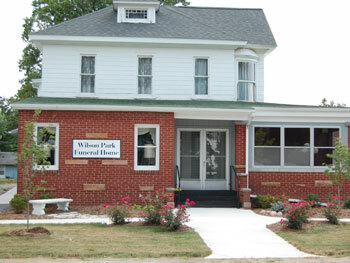 Wilson Park acquired the business and changed the name to the Wilson Park Funeral Home and in 1945 Wilson and June moved to what was the Twist family home, remodeled and opened the present funeral home. The Twist home was built prior to 1835. Charles L. Jones died November 1, 1949 at Springfield Memorial Hospital where he had been a patient since December 1945, almost 4 years. Wilson G. Park, Greg, after completing service in the U.S. Marine Corps in Vietnam, attended the Worsham Mortuary School in Chicago, IL, served his apprenticeship in Springfield and joined his father in the business in 1970. Greg became the owner of the business in January 1986. The most significant changes that Wilson observed are the many options that are offered a family in making funeral arrangements, such as, arranging a service that reflects the life of the deceased, cremation services, pre-planning a funeral service and offering trust agreements that relieve the surviving family of having to make decisions under stress. The funeral home offers pre-need counseling, assistance with social security, and insurance claims.